Contact JITO PT DENKO WAHANA SAKTI HP / WA: 085228302798sell hand stacker electric special price at end of year ! !hand stacker electric special price at the end of the year ! !We PT DENKO WAHANA SAKTI is the center of Material Handling selling, among them one of our products are electric hand stacker.hand stacker electric is a breakthrough new technology, to replace forklife, because the choice of space where the narrow so that it can maneuver with turn radius / spin which only 1, 8 meter.dan in design in such a way to make it easier for the user.hand stacker electric capasitas weight from 1 s / d 2 Ton reaching height from 1 meter to 8 meter, various type which we among them:hand stacker electric,1. PSB 1534: capacity 1500kg lifting height: 3400mmhand stacker electric,2. 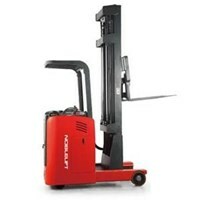 PS 1646 W: capacity 1600kg lifting height: 4600mmhand stacker electric,3. 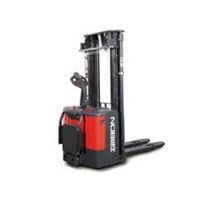 PS 1550: capacity 1500kg lifting height: 5000mmhand stacker electric,4. PS 1555: capacity 1500kg lifting height: 5500mmhand stacker electric,5. PS 1560: capacity 1500kg liftin height: 6000mmContact Hp-W.A 085228302798 (Jito PT DENKO WAHANA SAKTI)hand stacker electric special price at the end of the year ! 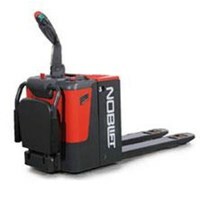 !Our electric hand stacker is guaranteed with an official warranty service and hydraulic service for 1 yearhand stacker we sell noblieft brandedReaDY sTOCK- limited.! PROMO SPECIAL hand stacker electric special price at the end of the year ! !Make sure you do not select the wrong produck!Here is the place, both Warranty, Quality and Quality of Products and Services are guaranteed not to be funny ,,,GET THE BEST OFFER OFFER, AND DISCON INTERESTING FROM OUR .. STOCK LIMITED, BOOKS !! !.More info can contact:JITOPT DENKO WAHANA SAKTIHP / WA: 085228302798EMAIL: sujito @ denko • co • idCentral hand stacker electric !! 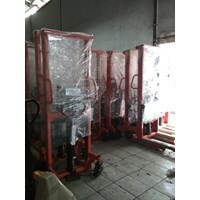 Hand Stacker Semi ElectricContact jito pt denko wahana hp / wa: 085228302798Details Hand Stacker Semi Elektrik Hand semi electric stacker is a means of transporting goods until a certain height, the work of Hand Stacker Semi Elektrik is pumping oil is done hydraulis using battery power so that operators can easily in the lifting of loads at altitude without using manual power. Although in the move or want to go back the tool is still done manually but the unit is easily moved from one place to another. The use of semi electric stacker is more effective becauseCan make the operational performance faster completed because in addition to saving time is also able to save costs and is suitable if used as a performance tool aids in warehousing, factories, shops, expeditions, and others.Semi Electric Stacker with Best Quality and Cheapest in DKI Jakarta. 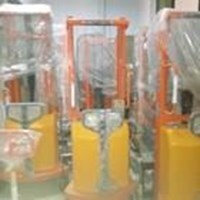 The following types we offer:Hand stacker semi electrically DYC 15 35Fork Height: 3.5 MetersRated Capacity: 1.5 TONNet Weight: 515kgsHand stacker semi electrically DYC 20 20Fork Height: 2 MetersRated Capacity: 2 TONNet Weight: 460KgsHand stacker semi electrically guaranteed with 1 year warranty, If interested with hand stacker semi electrically, just contact jito PT Denko Wahana hp / wa: 085228302798Central Hand stacker semi-electric, Material Handling !! !